The list gives you an idea of some of the services that we perform remotely. Most companies and individuals that are serious about their technology business have the technology to remotely connect to your computer and control it for the purpose of repair. The Internet is full of scammers that claim to be from major companies and have detected problems on your system. Check them out before you just say okay. Once they are in your system, they are in! Call us before falling victim! Need Support Right NOW? Give us a call or text us from our support link below. Training Materials for all ages! You like the old school way of getting your computer support, that’s how we started out in 1996, coming to your location to work on your technology issues. Onsite support is right around 45% of our business. Some clients love the fact that we can fix their problems online by connecting remotely, but many of our clients still enjoy seeing a professional smiling face to help with technical issues. The bottom line; it’s not working! You just turned on your electronic device and something is just not right, the sound does not work, it does not come on, or maybe it keeps turning off. I double click on my icons, and I get an error. NOTHING WORKS!!! Whatever the problem may be, just text us from the text link below, or give us a call at the number above. We can help you now! 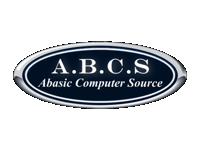 Since 1996 Abasic Computer Source has helped people with basic computer needs. We offer web site design, in-home & in-office computer support, helpdesk outsourcing, onsite computer support, network support, and top of the line online computer software and hardware support. Need Support Right NOW? Visit http://onlinepchelp.net or scroll down to view support options. This is how our phone support solution works, you give us a call and tell us about your computer problem. We will then give you a quote on what the price will be to resolve your problem and get you back up and going. You click the phone support button below and enter that amount of your quote, and then just pay by PayPal / Credit / Debit Card. If you can't get online use your mobile device, and when payment is recieved, just call us back and we will get started with your phone support.